It’s an idea that many think could provide Australia’s next great export industry and one that ARENA is determined to explore. 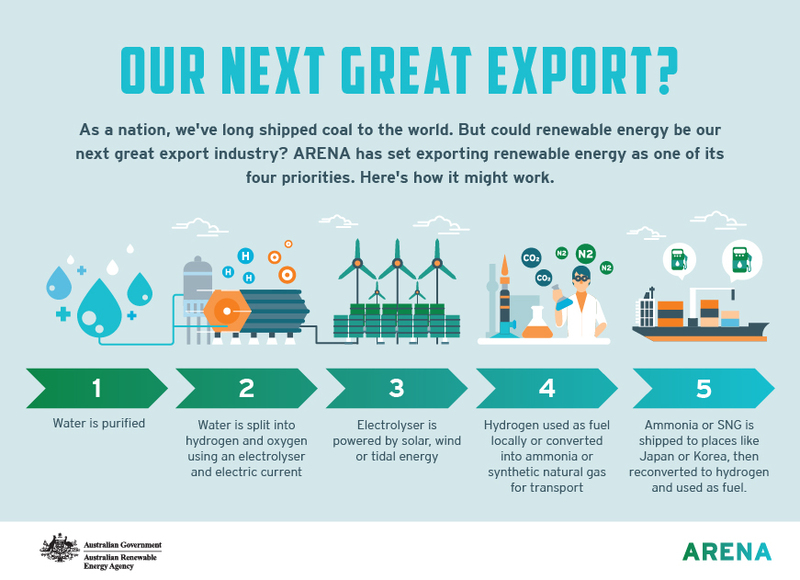 The Australian Renewable Energy Agency is launching a Request For Information seeking input from industry, research institutions and governments to assess how Australia might develop export capabilities based around renewable energy and hydrogen. “There is a global interest in clean renewable energy and a number of markets have identified hydrogen and its associated materials as key supply,” ARENA chief executive officer Ivor Frischknecht said. 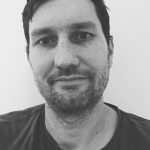 The request follows the South Australian Government’s recent call for tenders for hydrogen infrastructure proposals as part of a move to build a “hydrogen economy”. Australia has vast renewable energy resources, good export capabilities and strong relationships with key international energy markets. As the global economy transitions to low-emission energy alternatives, Australia is expected to be well positioned to export renewable energy to meet the energy needs of other nations (for example, in the form of hydrogen). We’ve previously written about the vast potential for a renewable energy export industry, particularly one that involves using renewable energy to create hydrogen from water and then converting it into a form that can be safely and economically exported to the world. Nations such as Japan and South Korea, where interest in renewables is high but the ability to generate them domestically can be limited, have been flagged as potentially vast export markets for hydrogen, which can be converted into a form suitable for transit in various different ways. Japan in particular has expressed a desire to place hydrogen at the centre of meeting its future energy needs. And it has set an ambitious target that 100 per cent of the hydrogen used for energy will be generated by renewables by 2040. It also has plans to power the 2020 Olympic Village using hydrogen. ARENA signalled the importance it is placing upon exporting renewable energy by making the concept one of the agency’s four investment priorities earlier this year. Those priorities are put in place to guide ARENA’s investment strategy and to set out areas of clear importance for the future. This request for information represents the first step towards translating that recognition into concrete action. Now we are seeking input from leading experts in the field in order to further the development of sustainable, renewable energy export supply chains. Depending on information received, ARENA may decide to develop a dedicated funding round or process with regards to research and development or project-related activities. Responses close at 5pm on October 18. The production of renewable hydrogen. This commonly involves using renewable energy sources such as wind or solar to power an electrolyser, which splits water into its constituent parts (hydrogen and oxygen). 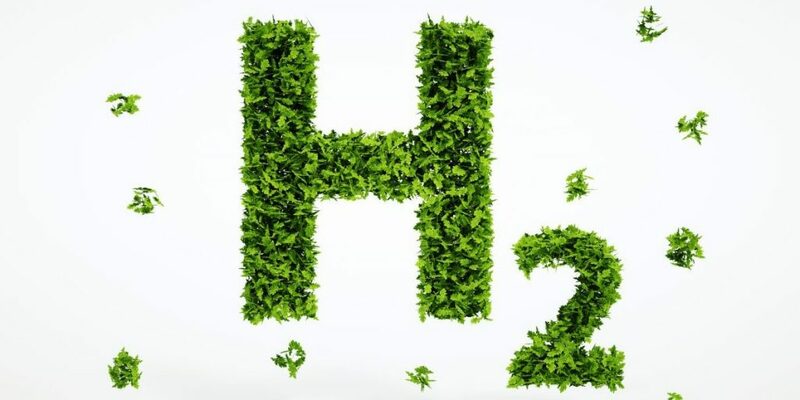 Less common methods include using ultraviolet light for artificial photosynthesis, heat to power chemical reactions and even bacteria to produce renewable hydrogen. The conversion of gaseous hydrogen to a substance or form suitable for export. In its gas form, hydrogen is difficult to transport. It needs a large volume compared to the amount of energy it has, and is such a small molecule that it can pass through steel containers! It must be converted into another substance in order to make export practicable. One way in which this can be done is by turning hydrogen into ammonia (an established process) but it could also be effected by creating liquid hydrogen or by techniques such as allowing hydrogen to be adsorbed onto solid nanomaterials. The (re)conversion of an exportable substance to hydrogen or some other form and its use as an energy source. 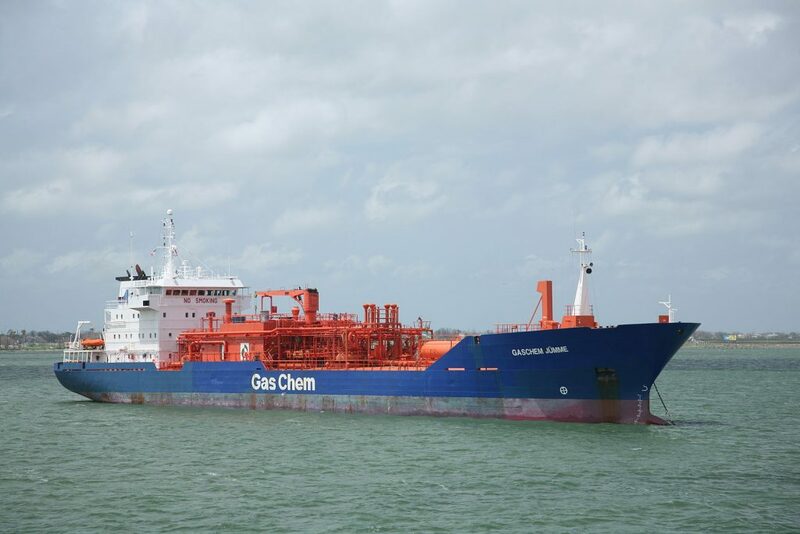 After being exported (most likely by ocean-going tankers) the exported substance must be re-converted to hydrogen (which is currently used as a fuel in many countries) or converted into some other substance that can be used as fuel. So why aren’t we selling hydrogen right now? Current technology and market circumstances are such that renewably produced hydrogen is not yet commercially viable to support export scale deployment. There is plenty of opportunity for innovation and it is here that ARENA expects its focus will initially settle, on research and development or small-scale pilot and demonstration scale projects. Responses associated with projects at later developmental stages are also welcomed. These may already be eligible for funding under ARENA’s Advancing Renewables Program which targets more advanced projects and concepts. The request for information is an invitation to those with an interest in renewable hydrogen to play a role in helping to develop the sector. Responses will help ARENA to understand how our involvement can make a difference in fast-tracking promising research and helping to support the deployment of innovative pilot and demonstration scale projects. We’ve asked potential respondents if they’d be interested in the creation of an industry roadmap to help guide decision making and investment in this emerging area. We’re also asking what are the current barriers to investment and development that currently exist when it comes to exporting hydrogen and how ARENA might be able to assist with lowering those barriers. And we’ve asked researchers who respond to tell us how their work compares internationally in terms of innovation and technological advancement. The RFI Subject Area does not include renewable energy embodied in processed raw materials such as minerals and fuels derived from biomass or waste sources, or direct export of electricity, for example via DC cable. It’s not that ARENA is not interested in those areas (we are very interested). But those investment areas are currently already being considered under the ARENA Advancing Renewables Program (ARP) and approaches can be made through that channel. Responses and inquiries should be emailed to hydrogenrfi@arena.gov.au by 5pm on October 18. More information about the RFI process can be found here.